College students who land gigs as interns or seasonal workers often don’t know that the IRS needs to take its cut until tax time rolls around. Paying taxes for the first time can seem complicated. It can seem like a high pressure event. College students nabbing their first gigs as interns or seasonal workers likely don’t know that the IRS needs to take its cut of their earnings. If student workers aren’t planning for taxes, they’re also more likely to be unprepared when the taxman sends them a bill. This is especially the case if they are paid in one lump sum with no taxes withheld. 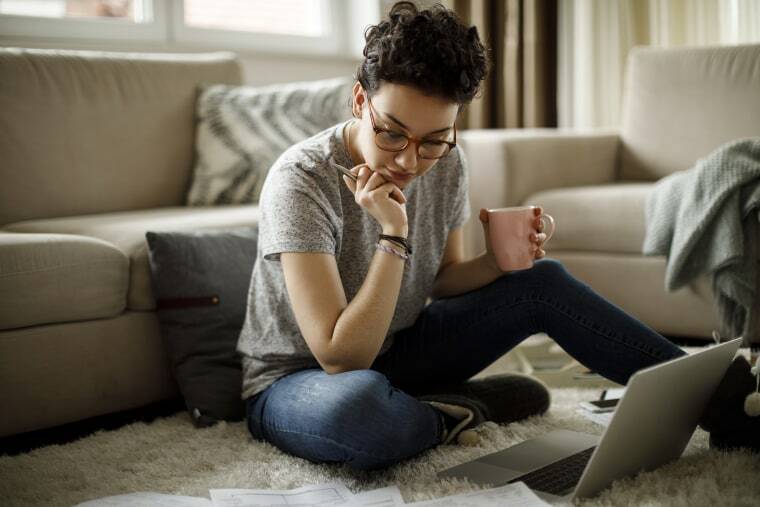 “For a college sophomore or a college senior, having these conversations about money can be uncomfortable,” said Sean Stein Smith, a CPA and member of the American Institute of CPAs’ Financial Literacy Commission. Although awkward, it’s important to start now in order to save yourself the stress later on. Kini Allen posted on Twitter about her son having to pay taxes for an internship required by his college. Allen said her son, who has worked part-time jobs before, was focused on getting an interesting internship that paid and fulfilled his graduation requirement. My kid took a partially paid internship (one that was REQUIRED by his school) over the summer. He was paid for some hours and unpaid for the bulk of his time there. And now he owes money on his taxes. I can not believe this. I now think internships are stupid and a scam. “They either didn’t fully explain the implications or he didn’t know enough to understand them,” she said. The amount of tax you’ll pay on your income will depend on whether you’re working as an independent contractor or as an employee. Employees, who have annual wages and taxes withheld, are responsible for a 7.65% payroll tax to fund Social Security and Medicare. Employers kick in another 7.65% to cover their share. Independent contractors are responsible for self-employment taxes, which add up to 15.3%. This tax has two parts: 12.4% goes to Social Security and 2.9% goes toward Medicare. Workers also have different ways to pay these taxes, based on their classification. For instance, employers are responsible for withholding taxes from their employees’ wages. This way, workers pay their income and payroll taxes over the course of the year. On the other hand, independent contractors generally pay estimated taxes every quarter. There is an exception for self-employed people who will owe only a small amount to the IRS. “Generally speaking, individuals who expect to owe less than $1,000 in taxes after taking into account federal income tax are exempt from the quarterly income tax requirement,” Smith said. As for international students who come to the U.S. for school, their student visa will allow them to spend substantial time stateside without being subject to tax on their worldwide earnings, according to Katelynn Minott, a CPA with BrightTax. However, because they might have a part-time job as a student, that income is considered U.S.-sourced and would be subject to taxes, she said. Have an upfront conversation with your employer at the start of your internship or seasonal gig to determine whether you’re an independent contractor or an employee. In other words, find out whether you are responsible for paying your taxes on your own, or will they be withheld from your paycheck. “There is no right or wrong answer in this case, but this is something any new hire should be aware [of] from the start,” said Smith. It’s also important to ask your employer for the details on compensation. How often are you being paid? Where can you access your payroll data? Smith recommended verifying your payroll information, whether through an online portal or with a human resources professional. If anything looks strange, bring it up as soon as possible. “Paying taxes for the first time can seem complicated,” Smith said. “It can seem like a high-pressure event. This article is part of the "Invest in You: Ready. Set. Grow." series from CNBC and Acorns. Disclosure: NBCUniversal and Comcast Ventures are investors in Acorns.